Take one cheeky Wolf willing to do anything, even give herself as payment to help her best friend find a mate, and never expected the bill owed to be collected. Until it is. Add in the most infamous Matchmaker in the Universe, Gerri Wilder. 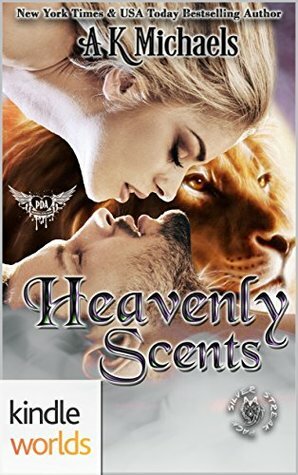 Stir in said Love Guru’s nephew to help in her devious plan, a hot-as-Hades Lion, who needs a mate more than he needs a chocolate chip cookie. Let the above bake until hot and steamy and add a dash of evil bad guy. Now, that’s a recipe for love everyone can get behind. Connie's best friend has moved to be with her mate in another pack. Cyndi has started a new life but left Connie behind and she's struggling to find her place in the pack. When it's suggested maybe she needs a change and living in town might just be what she needs she jumps at the chance. Living in town will keep her close to her parents but give her the change she needs to find herself. Connie has found the perfect apartment she just needs to find a job and that seems to land right in her lap working the bakery. Connie finds more than just a job at the bakery as she learns that the owner just happens to be her mate. I love Connie she was willing to do anything to help out her friend which I think is wonderful. She may be a werewolf but I found her to be very girl next door and paired with a stubborn shapeshifter it just works. They have the instant love chemistry I expected when a matchmaker is using her gift to bring them together. I really enjoyed reading Connie's happy ever after as we get to know her in the first one. The author has done a great job creating a fast-paced steamy story that is hard to put down. I finished it in one sitting because I had to know how it would end.